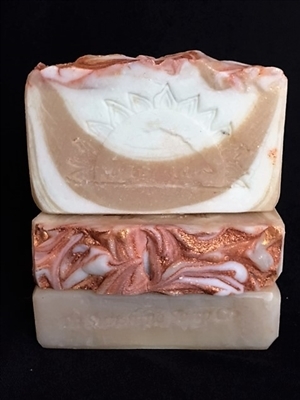 This soap is scented with a blend of classic pine with notes of clove, orange. vanilla. warm and slightly spicy bayberry with hints of fir needle. The coconut cream, coconut milk, and tussah silk makes the lather in this soap very creamy and lush. A fantastic gift for both men and women.